Balloons are a necessity on the party list. 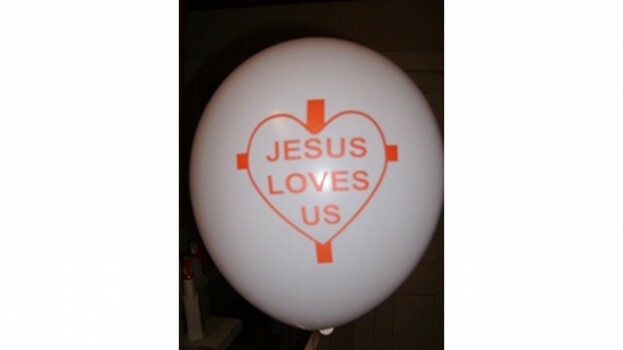 "Jesus Loves Us" Religious Christian Balloons add joy to any Christian festivity! The "Jesus Loves Us" Religious Christian Balloons are most appropriate at any Outreach occasion where He is glorified!!! 3) Click "Add to Cart" button above and then adjust item "Quantity".